St. Agnes College (Autonomous) Mangaluru, India, is a premier Catholic Educational Institution founded on 2 July 1921 by a great visionary Mother Mary Aloysia A.C., the Second Superior General of the Apostolic Carmel Congregation who was the first recipient of Kaiser-i-Hind Gold Medal of the First Class in 1929, a prestigious National Award by the then British Government of India, for her contribution in the field of Women’s Education. 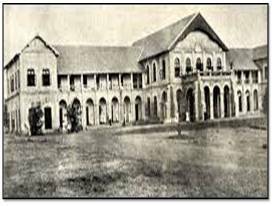 St Agnes College was the first women’s college on the West Coast of India and the second under private management, in the whole country. 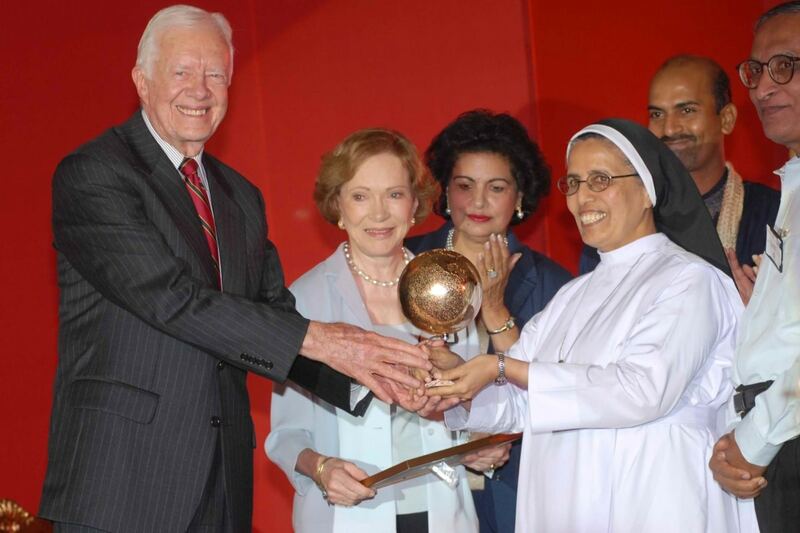 The Apostolic Carmel Congregation is the pioneer in women’s education in South India having established educational institutions to educate girls and women in the 19th Century (1870). The Congregation is the parent educational society having under its wings more than a thousand educational, technical, health and social service institutions catering to the needs of varied students all over the world. The sapling that was planted in 1920-21 in humanities is now branched into different streams B.A. :History,Economics,Political Science, Psychology, Secretarial Practice, Office Management, English Major, Journalism and 5 languages-English, Kannada/ Hindi/ French/ Malayalam. In 1933 the B.Sc. programmes with Botany, Mathematics and Natural Sciences were introduced. Over the years various courses like chemistry, Physics, Zoology, Computer Science, Microbiology, and Biotechnology were added. 27 December 1936 marked the first Mangalorean Diocesan Catholic Women’s Conference and the College provided all the facilities, rejoicing over the spirit of Catholic action displayed by the ladies of Mangalore. To inculcate responsibility and loyalty in students to their Alma Mater, the College inaugurated its first College Student Union in 1936. Various Associations were formed, such as the Agnesian Alumnae Association, Literary and Debating Association, History, Economics, Natural Science, Dramatics, Games Associations, Language Associations – Kanarese and Malayalam. For the first time in the history of St Agnes College a lady, Begum Sultana Mir Amiruddin, an enthusiastic patron of women’s education graced the presidential chair on the College Day on 22 January 1938. The Mission Week of 1939 organized by the college inspired 16 graduates to dedicate themselves in Religious Orders. The creativity of hostellers found expression in the production of an annual book, ‘The Magical Threshold’, published in 1939. In the same year, the college brought out its first ‘Bulletin Bureau’. Right from the inception of the college, primacy was given to foster spiritual and moral values among students through daily Religion and Ethic classes. The catholic students actively participated in various associations: Sodality of Our Lady, Catholic Action League, Legion of Mary, All India Catholic University Federation and the Student Missionary League. During the II world war 1939, faculty members and students prayed fervently for peace and raised for the war stricken people and the College was awarded three medals for their contributions. The college obtained affiliation in Science streams for the Intermediate in 1941 which enabled Agnesians to qualify for medical profession.The University was well pleased with the standards maintained by the College and granted affiliation in 1943 for Household Arts for the Intermediate programme and Home Science as a B.Sc. Course for the Degree level. The year 1946 marked the Silver Jubilee of the College. A three-day programme of a religious, cultural and social nature was organized to celebrate this great milestone. Her Excellency Lady Nye, wife of the Governor of Madras visited the college and expressed her appreciation on the work done by the Institution. From 1930 to 1953 the college had hand-written magazines, however in 1954, the first printed version was brought out. St. Agnes College was the only privileged educational Institution in Mangalore to be visited by Mrs Indira Gandhi on her South India tour, on 28th September 1955 years before she became the first woman Prime Minister of India. In 1956 the College ventured into professional Social Work, a one year P.G. Diploma Course, directed by an American professional, Miss Maria Frances Yasas and Miss Christine Francaux, a Belgian scholar. St. Agnes College was the first in South India to introduce a two-year degree course and a two year Post Graduate Degree course in Social Work in 1957. To provide job opportunity for women in business and banking, the college started Commerce programme at the P.U.C level in 1969 and at the Degree level in 1971. Perceiving the signs of time, the college introduced ACCA (Association of Chartered certified Accountants) in association with ISDC, UK and B.Com Professional (CA). As a centenary memorial of the , a Special School for differently-abled children was established. It was a service project of the College undertaken by the department of Psychology. As early as 1956 the College participated for the first time in the Inter-Collegiate Athletics of the West Zone, winning the College championship. Students secured top honours at the Tournament for Women in Badminton, the Inter-Collegiate Table Tennis Tournament in 1967 and the All India Inter-Varsity Athletic Meet in Cuttack. St. Agnes College was the first and only college that represented Mysore State at the Inter-University Kho Kho Tournament at Indore and also the first college of South Kanara District to represent Mysore State at the VII All India Open National Meet. In 1974, St. Agnes College introduced hockey for the first time. Three students were selected to represent Mysore University in the All India Inter University Hockey Tournament. In 1975, the College hosted Inter-Collegiate Women’s Games and the M.G.S. Zonal Inter-collegiate Tournament for Women on the College grounds. St. Agnes College launched National Service Scheme (NSS), in 1972. The University and the Government recognized the yeoman service rendered by the NSS Units and were awarded with university, state and national awards. The college celebrated its Diamond Jubilee in 1981 which was another historical milestone. A new vocation oriented BBM programme was introduced in 1986. To equip the students with Information Technology, the St Agnes Institute of Computer Education was set up in 1986 tutored by The Digital India’s Educational Division – ‘The Institute of Computer Education’, New Delhi. And a Post Graduate Diploma Course in Computer Application was first introduced in 1988. The advancement of Technology led to the introduction of BCA in 2006. The college celebrated its Platinum Jubilee in 1996. The celebration was inaugurated by Mother Teresa, the Founder of the Missionaries of Charity, Calcutta, an embodiment of compassion and love. 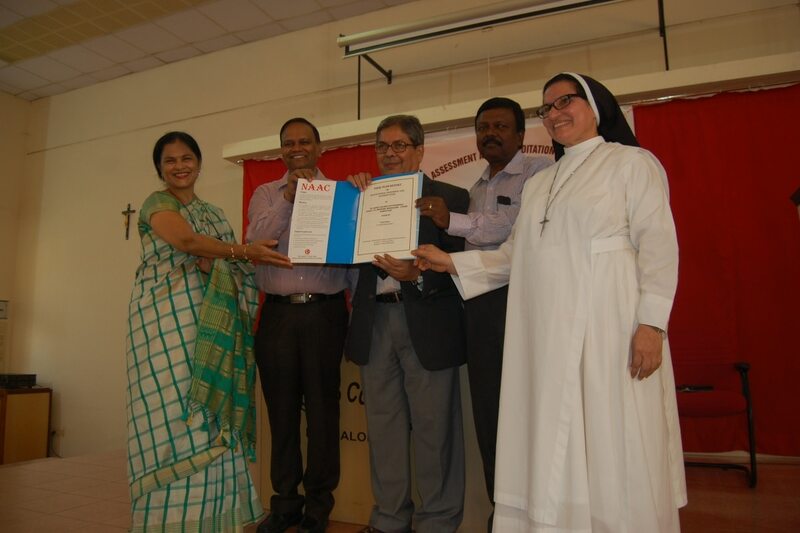 St. Agnes College was the first in Mangalore University to present itself for National Assessment and accreditation and was awarded with a ‘Five Star’ grade in 1999. Thereafter the college went for re-accreditation every 5 years and was awarded with ‘A’ grade in 2005, 2012 and in 2017 in the fourth cycle A+ grade with 3.65 CGPA out of 4. And ‘College with Potential for Excellence’ by UGC in May 2006. The “College of Excellence” status from the UGC in 2017. St. Agnes College was the I college in Mangalore University, III in the state and XVII in the country to receive this status. The Star College Status Award from the Department of Biotechnology, the Ministry of Science and Technology, Government of India in July 2017 for the outstanding performance by the science departments, St Agnes College received. The college made progressive stride from one university to the other. From 1921 to 1956 under Madras University, from 1956-57 Karnatak University, 1957-1980 Mysore university, 1980 – 2007 Mangalore university and now from 2007 an autonomous college. With the Autonomy status Post Graduate Programmes were introduced: M.Sc. in Psychology; M.A in English; M.Com; M.Sc. in Clinical Psychology and M.Sc. in Chemistry. To accommodate the PG Programmes The Centre for Post Graduate Studies and Research building was constructed in 2009. Soon the college was recognized as Research Centre by Mangalore University and presently the PG faculty members are guiding the Ph.D research scholars. The college was proud to organize its First Graduation Day in 2012 and thereafter it has been an annual feature of the college. St Agnes has some of the finest faculty in the city. Well qualified faculty members over 100 in strength and 50 committed support staff are the backbone of the institution. Campus life is made richer and more effective, through a spectrum of Seminars and conferences at the national and international levels organized by various departments highlight the academic excellence. Major and minor research projects, paper publication by students and faculty members are some of the scholarly accomplishments. Some of the students’ places of attractions are a digitalized library, with its thousands of books, magazines and Journals; an inter-disciplinary museum; a high-tech computer lab; an audio visual studio; the Carmel gym; a health care centre; cafe, canteen and St Agnes convent chapel. Offering emotional support to the students are the Carmel and Navachethana counselling Centre. The active participation of students in various competitions, games and sports events at the intercollegiate, state and national level have brought laurels to the college. To bring out the latent talents of students, the institution hosts a number of forums, clubs, units and wings, prominent among these are: the NSS, the NCC, nature club, Science Forum, Cultural, club, Lit-wit literary club, AIDS awareness Educational Cell, The college choir, The college band. Various best practices of the college have helped students to be compassionate and sensitive to the needs of the society: Navidad, Agnes Towards Community, Blood Donation, Green Initiative, Cleanliness Drive. Making the institution proud are its alumni, extending help and support through its scholarship programme to the needy students of the college. St Agnes College stands tall as a beacon of light in the coastal town of Mangaluru and has spread the light of knowledge and wisdom world over through the mission of higher education. The College is celebrating its eventful 100 years of nurturing minds, cherishing intense learning, growth, progress and most important of all connecting human lives with the outside world.